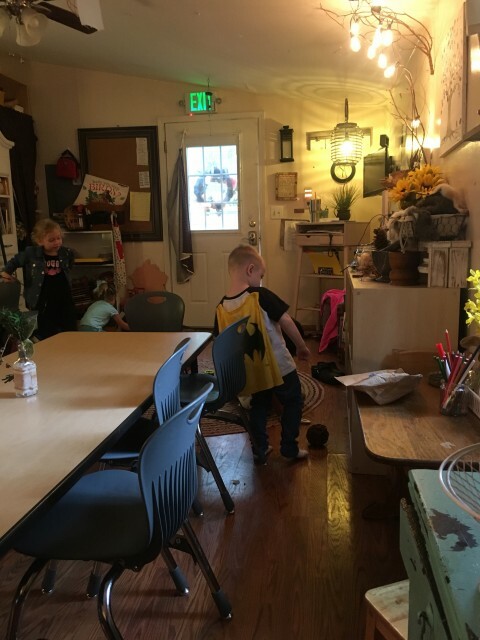 You probably have noticed that our classroom has a lot of bustlr and noise , the children are up doing things, talking, playing , and exploring. Such a classroom environment differs from the old school images have a teacher doing a lot of talking to the children while they sit and listen quietly. Research and experience tell us to be effective with young children, teaching practices need to be developmentally appropriate. 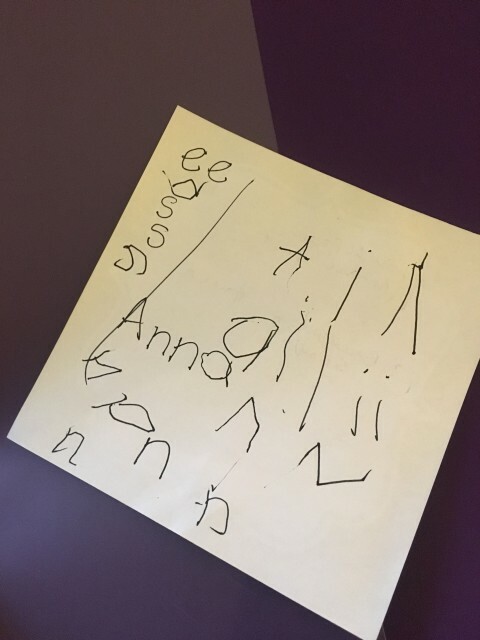 What this means is simply that educators need to think first about what young children are like and create an environment and experiences that are in tune with the children’s characteristics. Children 3-6 learn far better through direct interactive experiences than through just listening to someone talk. 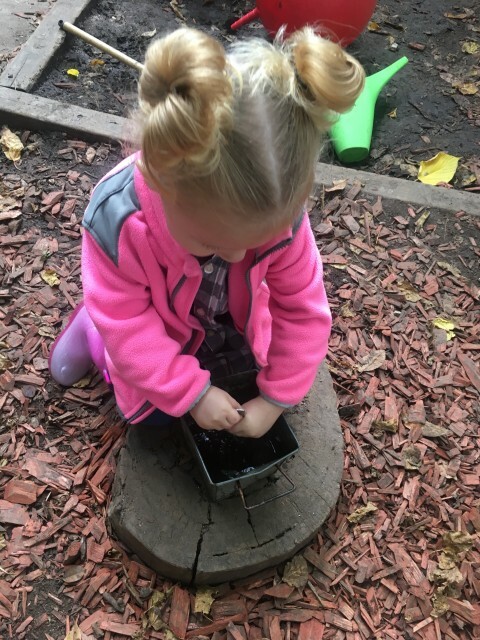 They learn extraordinary amounts during play and exploration. And the younger children the more what they learn needs to be relevant and interesting on the day they learn it , not just in the context of some future learning. Then later it was reinforced as the children found some left over wooden letters and asked could they decorate them. Sure ! Again ! 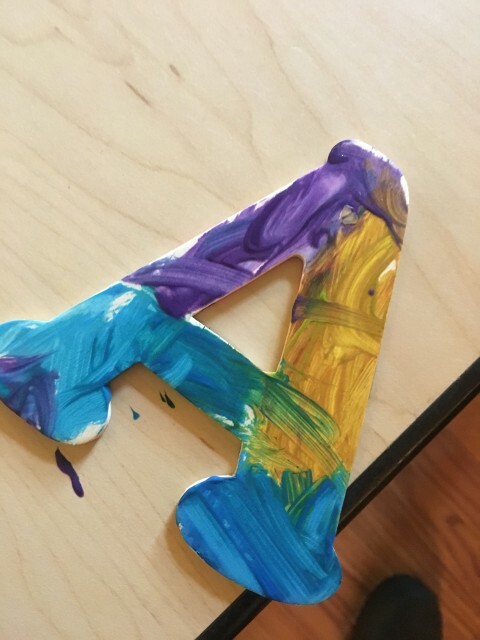 That letter is the same as the A in Annalise’s name. And then they found an S.
Based on such knowledge about what children of this age are like, we design our program to fit them. It works a lot better than trying to re-design the child . 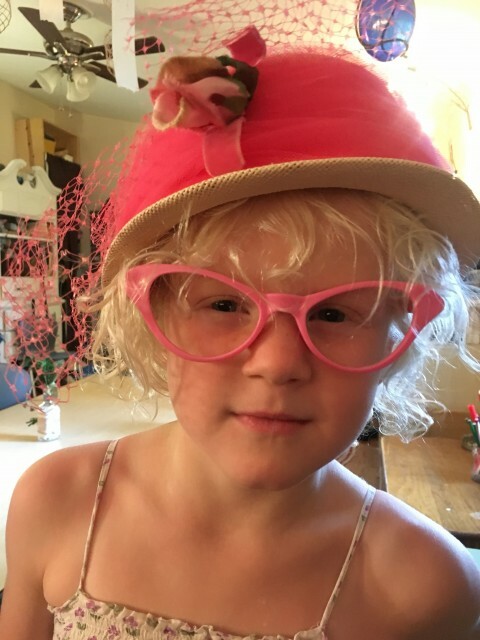 A developmentally appropriate program like ours is age-appropriate. But that’s not all. 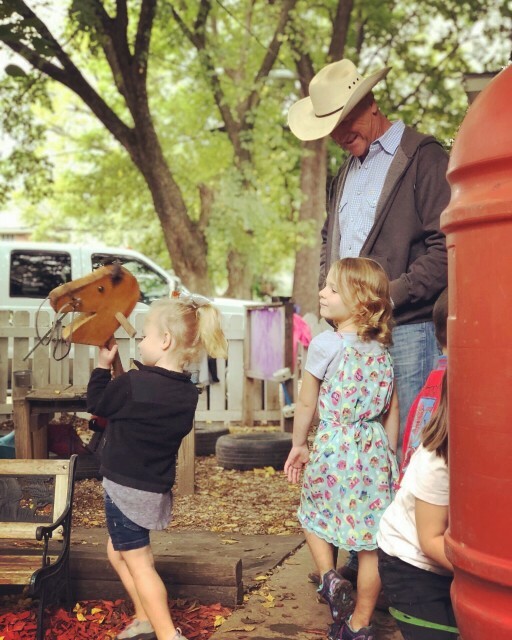 To make the program a good place for every child, we gear our classroom environment and the activities to our community and the families involved. Remember this — guess what is coming next week. We are eager to learn as much as we can about a child’s family and cultural background, past experience, and current circumstances. With this knowledge we work to create a program that fits the children and the families we serve . Here’s another example of how we scaffold a child’s learning. The children asked could they take the peacock feathers down. Sure … do you see a theme here ? We looked at the feathers closely. 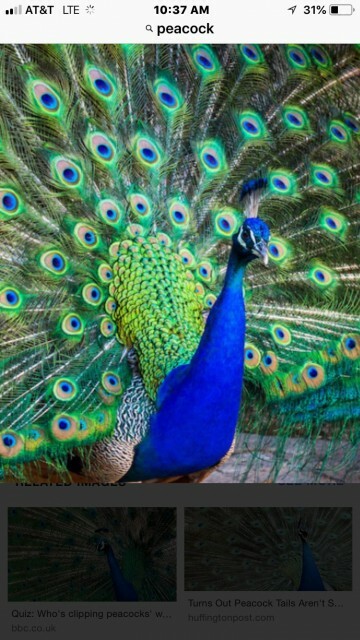 We googled peacock to be reminded of what the bird looks and sound like. 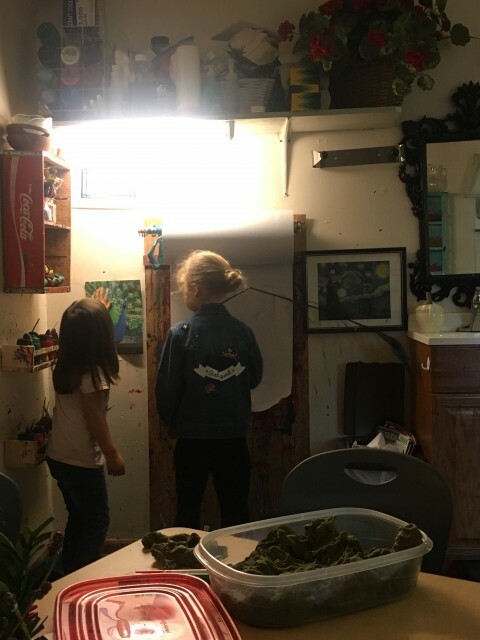 We printed a picture that we could use at the paint easel to paint. I think perhaps we had a peacock painting. And guess what happened later in the day ? You guessed it. 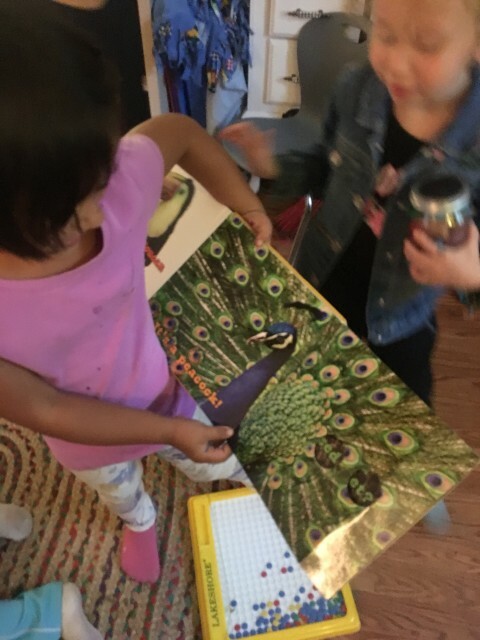 While reading a book a child found a picture of a peacock. Peacock – p. P. P. What does that start with ? I want to write it for you.